A depiction of a manicured hand holding a few of the best things in life. 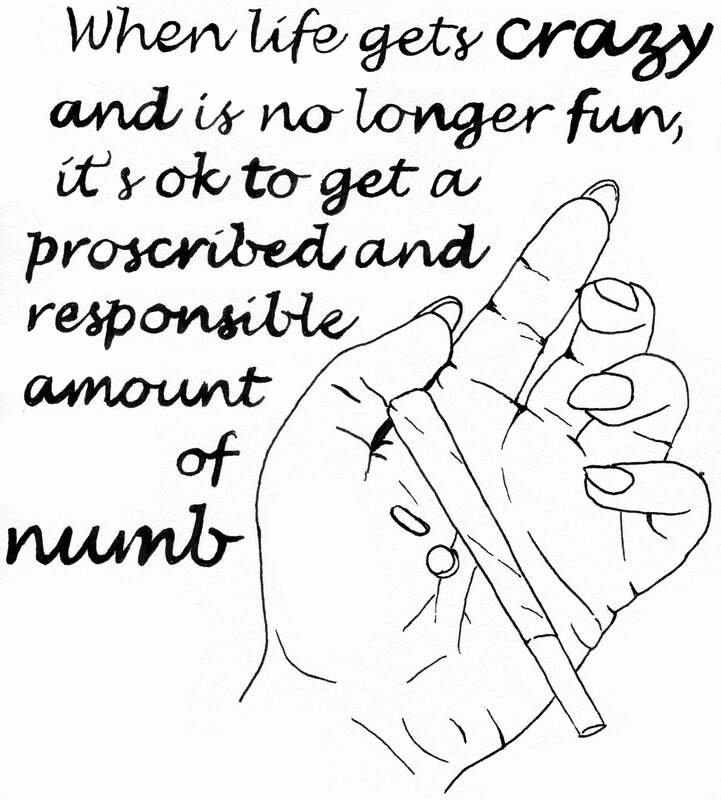 The text reads "When life gets crazy and is no longer fun, it's ok to get a proscribed and responsible amount of numb*." 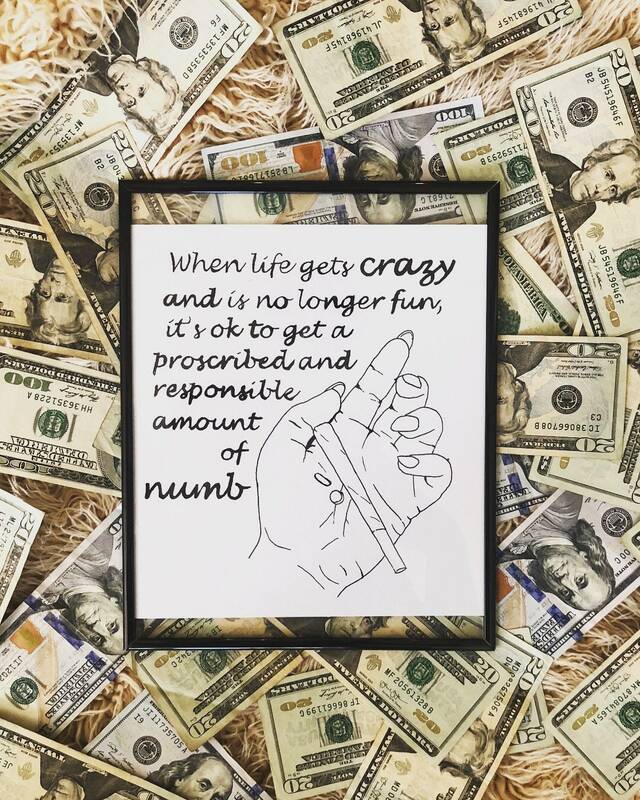 This print is roughly 8" x 9"
Printed on high quality, smooth finish card stock.